Our luggage policy is three average sized pieces per person as per airline specifications. Airport Shuttle is not responsible for lost or unused tickets. 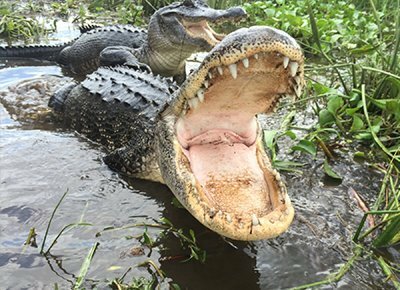 Handicap accessible vehicles are available, but require a 1-week reservation prior to arrival. Please call our reservations department at (866) 596-2699 for assistance. Travelers must provide their own child car seats or booster seats. Airport Shuttle does not provide child car or booster seats. We are an on demand shared ride van service. We use big vans with lots of storage. We understand the stress of air travel, and our reliability and advance reservations reduce that pressure. 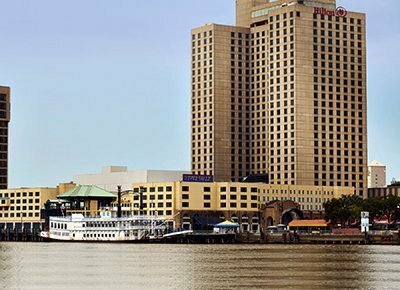 We serve locations in the French Quarter, downtown area, Central Business District (CBD), Warehouse District (near the Convention Center) and uptown New Orleans. Click here for your location. Yes, we will pick you up at any location we serve. Click here for your location. How do I find your van? See our FIND THE VAN page. We operate from 3:30 a.m. to 2:00 a.m., 365 days a year. When you have your flight info, call (866) 596-2699. As soon as you have your flight info. Can you offer even lower fares to large groups? Yes. Check with your meeting planner/event planner to see if an account has been set-up. If you are the planner, call (866) 596-2699 and using our automated phone system select option 2 for our Group Sales Department. Is Airport Shuttle a national company? We are a member of the GO Airport Shuttle network -- the world's largest network for rides to & from airports. 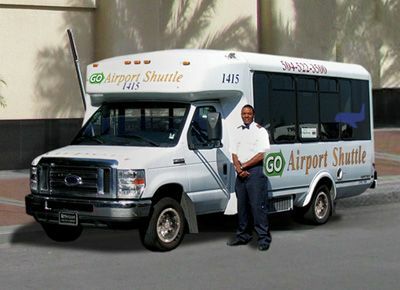 When planning your trip, just visit www.goairportshuttle.com for all of your rides in and out of airports. Yes and No. 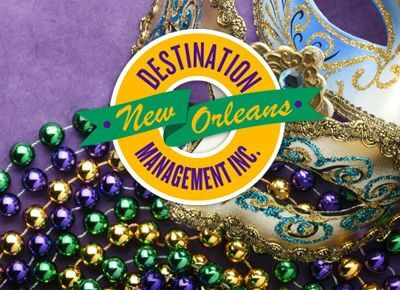 Airport Shuttle is only permitted to provide transportation to or from the Louis Armstrong New Orleans International Airport. However, if your travel needs require other forms of transportation or services one of our other divisions can surely fill your needs. For questions or more details call (504) 522-3500 or (866) 596-2699.